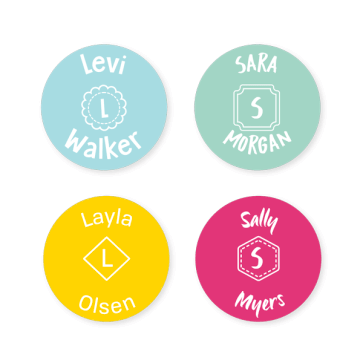 Monogram Labels feature your first initial enlarged in a shape of your choosing, followed by your full name. Sophisticated yet fun, these labels are a great style for older children or adults. They are also perfect for sport and university needs as they have that varsity vibe!